Remember three years ago when an Egyptian young lady wrote Chris Martin a Facebook open letter using Coldplay’s lyrics and created a social media frenzy? 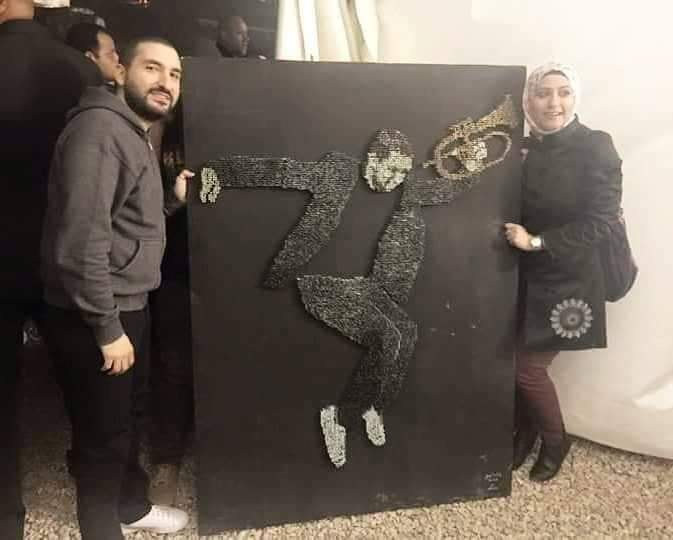 The Artist and Founder of Shuffle Designs, Amal Salah, had a dream, and it’s basically drawing a huge portrait of Martin, and having it displayed at one of their concerts. Salah promised that the portrait will be different, just like Martin because he’s “a sky full of stars.” I cried a river reading it; alas we doubt it ever happened. Yet rest assured dreamers, for the girl with big dreams is now a big name in Egypt due to her visionary and intricate pieces of art. Our Egyptian girl knows what it’s like to work with nails. Yes, you read that right! Those ugly silver, occasionaly rusty nails can turn into visions! 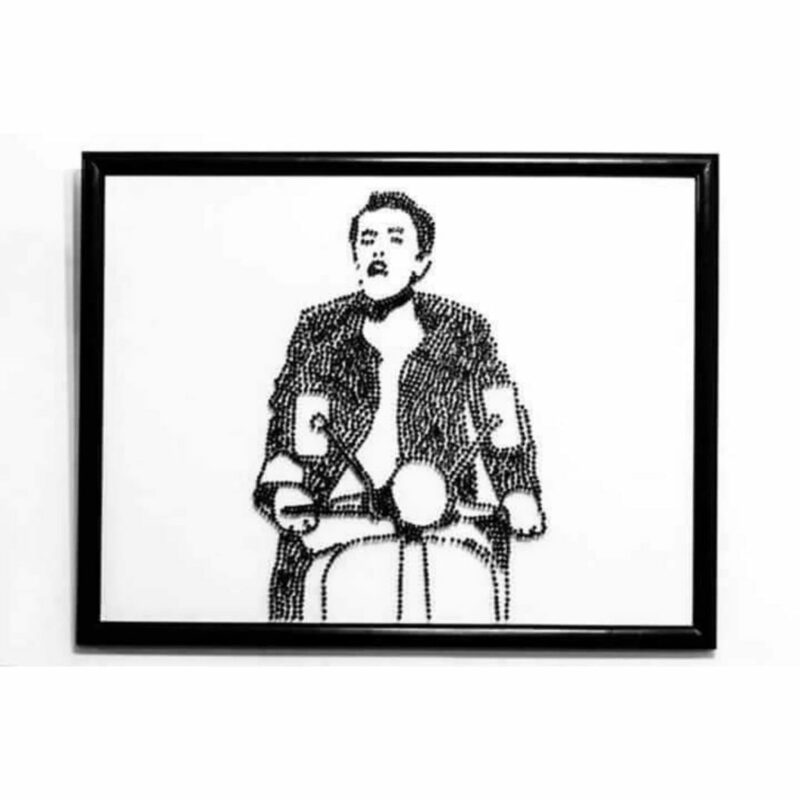 Salah then created a portrait of her favorite movie, Fight Club, to put in her home. Everyone loved it, and that was the beginning of a long series of artistry. 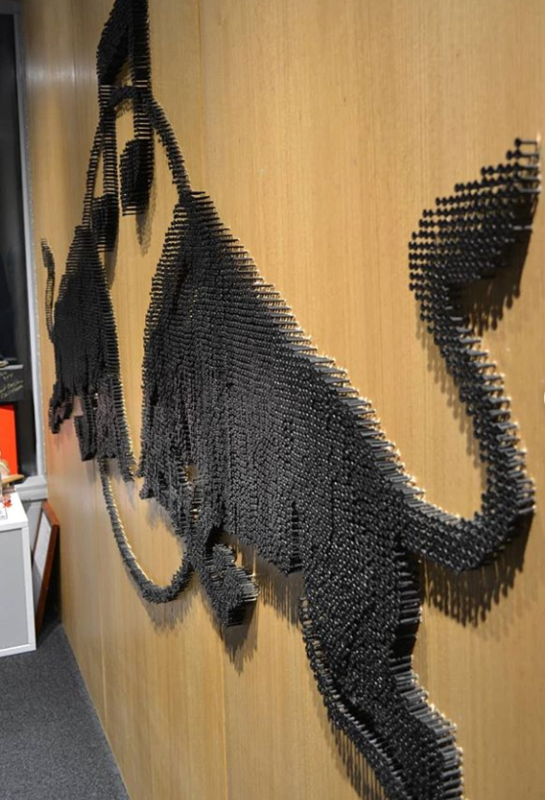 Another post by Amal that went viral; other than her letter for our beloved Martin, was the artwork created for the Red Bull office in Cairo. It was out of this world, incredibly accurate, with thousands of details that were nailed perfectly. It took three weeks to be executed using 13,500 nails in the process. Some of her favorite portraits include one created for French-Lebanese Jazz Trumpeter and Composer, Ibrahim Maalouf during his concert by the Pyramids of Giza. 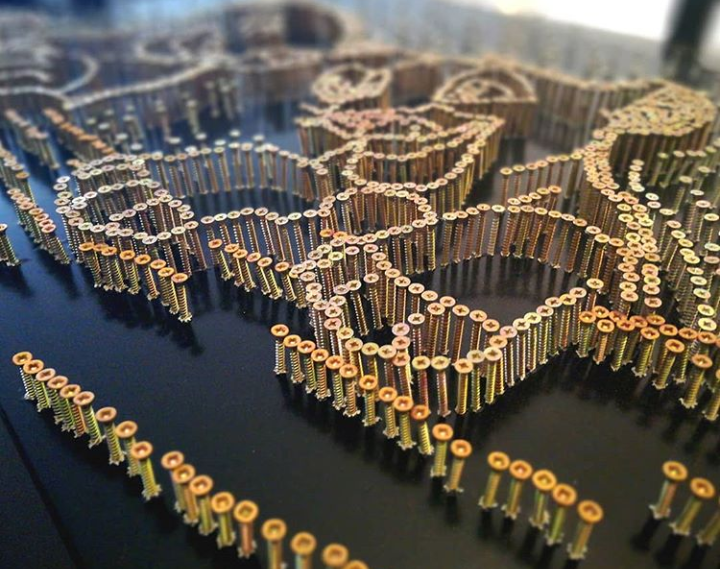 He even mentioned her artwork, that’s made of 7,600 nails, on social media later. That in addition to direct-on-wall skyscrapers created for a real estate company.